My first ever political convention started by attending two great dinners in one night with many inspirational and powerful speakers. Could there be any better way to start off what looks to be an awesome weekend with thousands of passionate Texas conservatives? 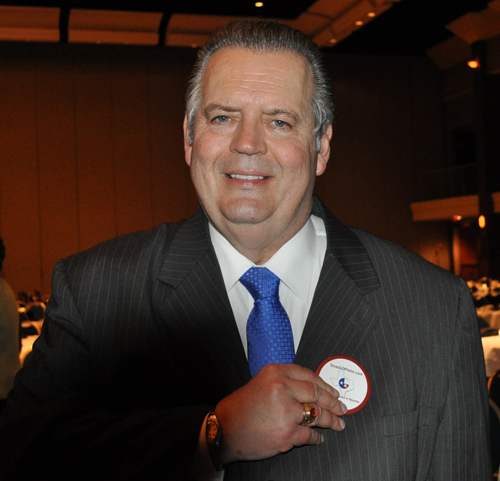 The first dinner I attended was the Texas Eagle Forum’s Patriotic Banquet with Danielle Chavez. I can say that the food was good there! However, the banquet I attended was the Texas Alliance for Life’s Life & Liberty Banquet just down the hall for most of the evening. The Texas Alliance for Life Banquet got started off with Governor Rick Perry who aside from being the longest serving governor in state history also has a record for being the most pro-life governor in Texas history! Governor Perry began by standing on his record of being “unabashedly committed to defending the unborn” as it is the “responsibility of every human being” to defend those who cannot speak for themselves. Of course the governor ended his speech by using his social media prowess to encourage those present to text “LIFE” to 95613 so that we may help him continue fighting for the unborn here in Texas. 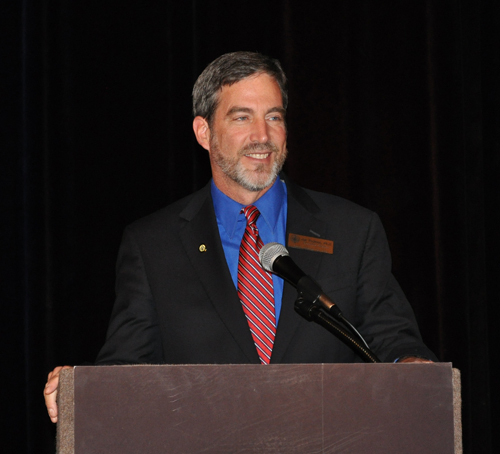 The next speaker was Dr. Joe Pojman, Executive Director of the Texas Alliance for Life. 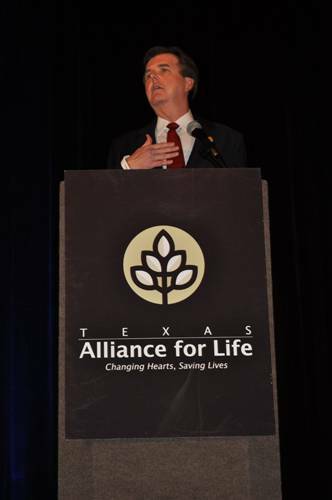 Though there are many pro-life organizations in the state of Texas, Texas Alliance for Life stood out to me because they have been around for 22 years and have a mailing list that includes over 90,000 households. This is truly impressive, but what most impressed me were the facts and figures that Dr. Pojman presented regarding the legislation that has been enacted in Texas over the past decade. Since the Parental Notification Act was passed, teen pregnancies and abortions fell sharply by 32%, undoubtedly saving the lives of thousands of Texans. Dr. Pojman followed up by suggesting that we can do more to help the unborn by advancing legislation that would allow a woman to view a sonogram before deciding to have an abortion, make “Choose Life” license plates available, and defund Planned Parenthood. I was unaware that Planned Parenthood receives $20 million a year from taxpayers, so by defunding this organization we will not only save money but lives. While all of the speakers were very informative and impressive, I was unaware that I was lucky enough to sit next to the honored guests of the evening. Sitting next to me was Mr. and Mrs. Davis, a couple whose son, Joseph Davis Jr., was stricken with sickle cell anemia at a young age. Little Joseph’s sickle cell anemia was cured by adult stem cell research, an issue that his parents have passionately advocated for since the successes their son had. Nearly every speaker acknowledged the Davis family and many pictures were included in the program of their son. I was glad to hear that these concerned parents had been heard in Austin and was proud to know that Texas is leading the way in promoting the sanctity of all life.